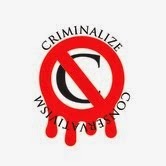 Criminalize Conservatism: "We're Like Animals To Them." "We're Like Animals To Them." "'We're Like Animals To Them': An American City's Daily Racism," is an important, short essay by Markus Feldenkirchen at http://www.spiegel.de that tells the story of American racist exceptionalism. "As they pull up to the place where Michael Brown was killed, shot six times by a policeman, they sink to the ground and stare at a cross bearing his name. "Michael Brown was stopped on Canfield Drive by a white officer for the same reason that people are stopped everyday by the police. Roberts and Greer even have a name for the 'offense' -- a common one in Ferguson, Missouri: 'WWB,' 'Walking while black.' Every black person living in Ferguson knows the meaning of the abbreviation because it is a constant part of their lives. "It took the shooting of 18-year-old Brown on August 9, a young man who was unarmed, before anyone took an interest in the everyday reality of the city's African-American population and their demoralizing harassment by the police. It also took this tragedy before people began to ask an important question: Why does a city whose population of 21,000 is two-thirds African American have a police force that is 95 percent white? And why, a half-century after Martin Luther King, Jr. launched the civil rights campaign and the end of segregation, are African-Americans still complaining today about persistent racism...?" "In that one chanted word, 'Shoot!' is encapsulated a whole history of racism, violence, injustice, hatred, privilege, and inhumanity. This is the wretched unseemly underbelly of American society. A society initially built, in large part, by the labor of slaves. "We are generations removed from the Civil War, a century removed from widespread lynching, half a century removed from Civil Rights. Yet, the injustice codified in our founding has been handed down like a Confederate revolver, an overseer's whip, until today, when certain white Missourians, perhaps swept up in a sort of mob mentality, but nonetheless, cheered for the death without trial, without due process, of a young, unarmed black male..."
"Where slavery thrived, inequality rules today." "This unusual report on inequality, like Thomas Piketty’s best-selling book on the same subject, addresses unequal fortunes, declining mobility, and stagnating economic growth as national or even global problems, which demand similarly large-scale solutions. But scholars are also well aware that these problems vary greatly from place to place. Consider a recent, much-publicized study of social mobility by economist Raj Chetty and his colleagues at Harvard and Berkeley. 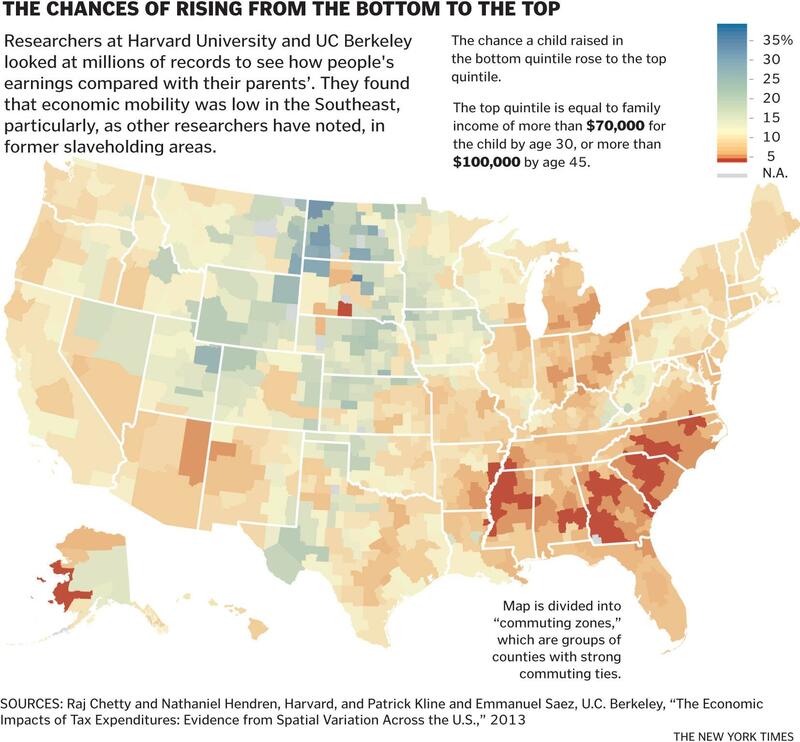 As the illuminating map generated by that study shows, children born in some regions—Salt Lake City and San Jose, Calif., for example—have a reasonable shot of moving up the social ladder. By contrast, many parts of the former Confederacy, it seems, are now the places where the American dream goes to die..."
"Ferguson’s booming white grievance industry: Fox News, Darren Wilson and friends." "White defenders of officer Darren Wilson are raising money by slandering Mike Brown, with some help from Fox News." "Not surprisingly, a thriving franchise of the nation’s booming white grievance industry has opened up in Ferguson, Missouri, over the last week. It’s worth examining closely. As usual, it consists of two parts lies, one part paranoia, but at its heart it’s a big grift. "The weekend featured multiple protests supporting Darren Wilson, the missing Ferguson police officer who shot an unarmed Mike Brown on Aug. 9. His superiors apparently withheld Wilson’s name long enough for him to delete all social media accounts and skip town, but his supporters are declaring Wilson, not Brown, the victim here. A GoFundMe site raising funds for Wilson’s defense – though he’s not been charged with anything – garnered not only $250,000 in donations, but so many ugly racist rants GoFundMe administrators had to disable comments for the site. (They’ll have no trouble taking a cut of the racists’ money, of course.) 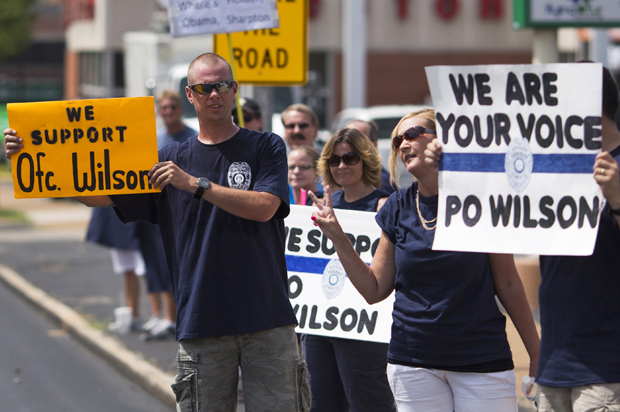 Wilson’s supporters say they’ve raised $374,000 online and at local events, 'to support his family,' one woman told MSNBC..."
"No, Eric Holder Didn't Pay Gangs to "Start Riots" in Ferguson." 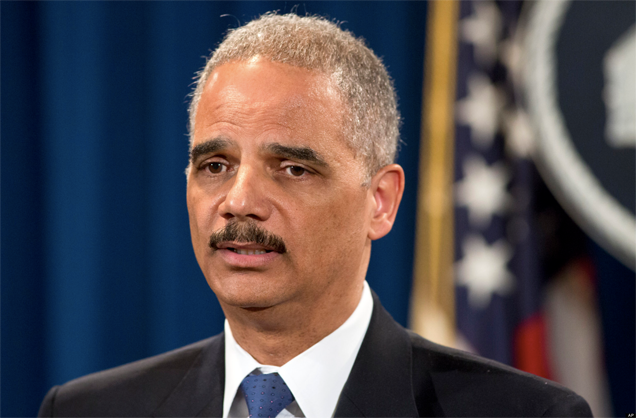 "Proving once again that common sense is no match for confirmation bias, this weekend an article titled 'Ferguson Gang Leader Admits "Eric Holder Paid Us To Start Riots'" began racing through social media, racking up over 50,000 Facebook shares by Monday morning. "The story, of course, is completely false. 'There is no Judge Rineheart (or any similar name) on the 22nd Judicial Circuit of Missouri,' a court spokesperson told Gawker..."
"People Who Don't Think Race Matters In Ferguson Think Obama's Remarks Are Racist." "Few people were surprised when conservative commentators started criticizing President Obama for commenting on the Michael Brown shooting and aftermath in Ferguson, Missouri, and a new Pew poll shows why: white and Republican Americans are more likely to think race is getting too much attention in Ferguson. Conservative commentators calling the president racist are just the most prominent and extreme examples of people who think Obama is addressing race issues that don't exist. "In the last week, right-wing blog WND published a column by Larry Klayman arguing that the president was the 'Racist in chief' for siding with his 'black brothers' against 'whitey.' Fox News' Todd Starnes wondered why the president offered condolences to Michael Brown's family, but didn't offer his condolences to the cop who shot him. Daniel Greenfield at FrontPage magazine wrote that the president 'tends to avoid explicitly racist rhetoric. Instead he empowers those who do...'"
Why is everyone worried about racism anyway, didn't we settle that back when the South rebelled against the U.S and we beat them senseless? Because the truth of the matter is that the Conservative ring masters are reaching out to the clowns in their racist base to hide their true agenda in the din and clamor of their mad dog bigotry -- helping their rich masters get and keep all of our money they can...It's easy to see once you follow the money. To many of you, moving from racism to greed is a giant leap. But with Conservatives greed rules over everything. When your core belief in a participatory democracy is that the rich should rule, you have no choice but to declare Class Warfare and proselytize the dumbest and most fearful authoritarian members of that democracy -- the ecumenical Christians and the racists. The strategy has been known since the days of Machiavelli; use fear and hate will follow. And the Conservatives have used it successfully in capturing elections today, even though Machiavelli would have recognized the strategy as his own. Their oughta be a law. who are routinely suspicious, rude, belligerent, and brutal."